RIZZOLI, STEIDL & ARTBOOK | D.A.P. 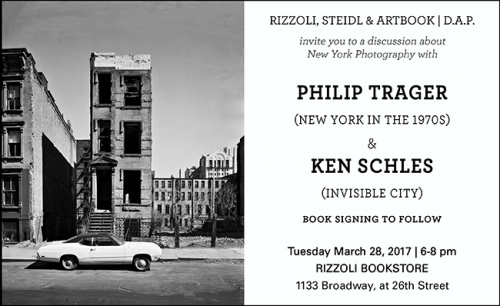 invite you to a discussion with Philip Trager and Ken Schles moderated by Dan Nadel about New York photography in the 1970s and 80s. Tuesday March 28th, 2017 from 6-8 pm.